As part of Advertising Week Europe 2017, APA will be hosting a station of VR experiences from some of our most ingenuitive members. 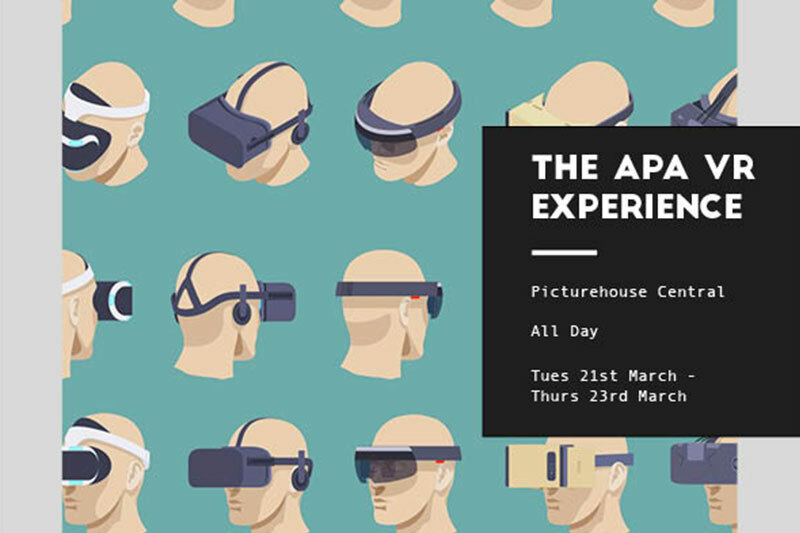 If you’re at AWE 2017, being held at Picturehouse Central in Piccadilly again this year, stop by and have a go at one of the expereince on offer. If you are planning on attending AWE but haven’t got your pass yet, use code ‘APA30OFF!’ to get 30% off the cost of your pass.